Following the world premiere of Tech N9ne’s “He’s A Mental Giant” music video on MTV2 and MTVu, fans everywhere went straight to Twitter to share their thoughts on the enormous production. Jumping off All 6’s And 7’s, the music video was the most expensive ever produced by Strange Music. Judging by the reaction from fans, it was worth every penny. The demented re-imagining of The Wizard Of Oz proved to be even crazier than fans ever expected. The buzz that followed the music video’s premiere reached a fever pitch by the end of the day. Fueling everyone’s excitement for Tech’s All 6’s And 7’s, “He’s A Mental Giant” lived up to its towering name. Follow Tech on his official Twitter page. 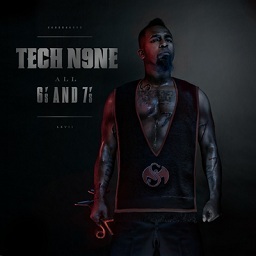 Click here to pre-order Tech N9ne’s All 6’s And 7’s.